Rev. Malone Gilliam read the Christmas Story yesterday from Matthew 1:18-25. We’ve heard it so many times that it may be too familiar; when Mary was found to be pregnant by the Holy Spirit, Joseph was going to dismiss her, but instead an angel came and explained about Jesus’ birth to Joseph, and they both trusted the absurd story. We’ve heard it so many times that the story of Jesus’ birth no longer strikes us as phenomenal. Similarly, we can let our lives become mundane when we enter into a hypnotic state of doing the same thing over and over again. Malone told us the story of the white loafers he was wearing that he’d “won” at a “White Elephant” party. He’d always wanted a pair, but would have never bought them for himself. He commented that the appeal of a “white elephant” party is that we can lower our self-imposed barriers where we hide our flaws, always trying to put our best foot forward. At these parties, people can laugh at themselves; it gives us a break from the mundane and normal. Malone knew that when he walked out to start the service, our eyes were riveted on his shoes because they were so absurd. 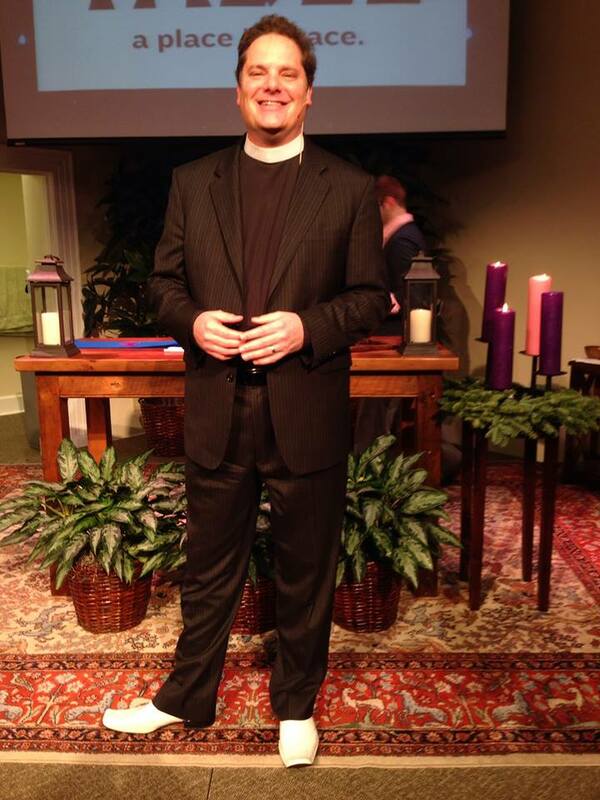 They didn’t fit his normal, dapper, traditional way of dressing when he preaches. Jesus’ life was absurd and abnormal. He came not only to save us from our sins, but to save us from ourselves. I pray that your life is changed this Christmas, by the absurd story of Jesus Christ.